How to get a beautiful woman to ride on a rollercoaster. | Japanize! I know this is rather abrupt, but I’m in love with someone who doesn’t love me back.Her name is Yuko-chan. I’ve confessed my love to her so many times, but she just isn’t interested. 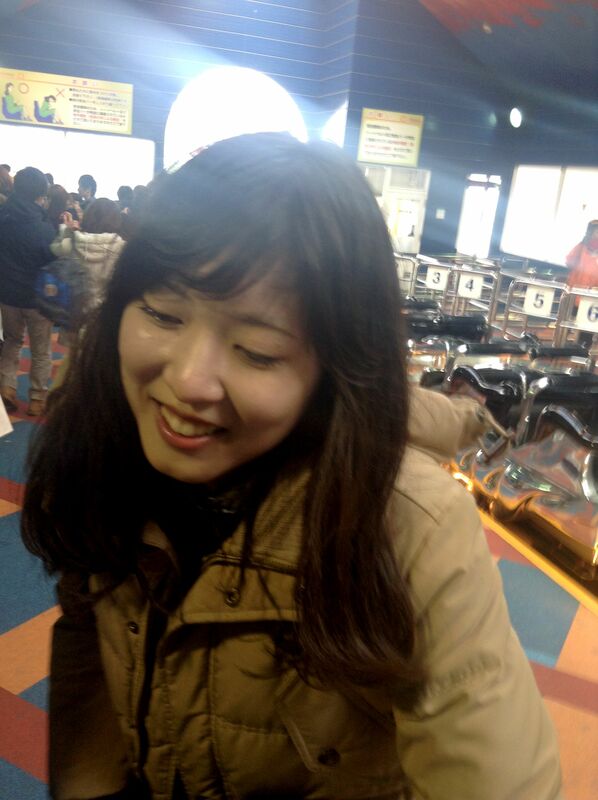 So, I invited Yuko-chan to “Fuji-Q Highland”, the “Number One Thrill Spot in Japan”. One reason is that I love thrill rides, and I wanted her to experience how fun they are. The other reason is, by sharing a thrilling moment together I thought maybe she’d start to like me! “Thrill rides... they’re the scary ones, right? 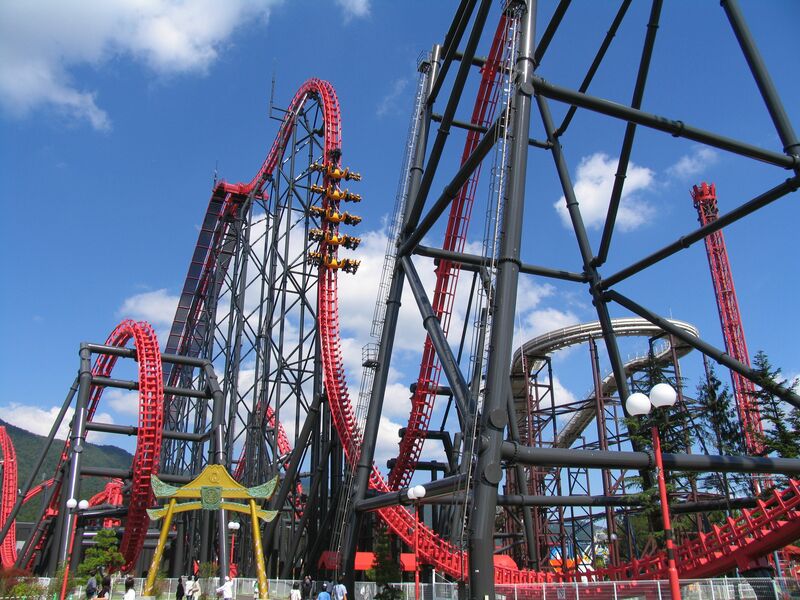 With a maximum speed of 130km/h, maximum drop of 70m and a maximum height of 79m, FUJIYAMA, also known as the “KING OF COASTERS” is one of the best rollercoasters in the world. “I’ll get her to go on this one first. I’m sure she’s gonna enjoy it. I wanna see Yuko-chan’s smile already!” I thought to myself. She looks really cheerful, right? She turned towards me, her smile as bright as a sunflower, saying “I’m excited!”. Excited Yuko-chan, and nervous me. We climbed aboard and FUJIYAMA took off. We shot off like a bullet, the whole ride lasting 3 minutes. I couldn’t contain my excitement at the intense speed and overwhelming thrill of it all. But she was still smiling, so it seemed like she could take a bit more. “Okay, let’s keep going then!” I said, dragging her to the next attraction. 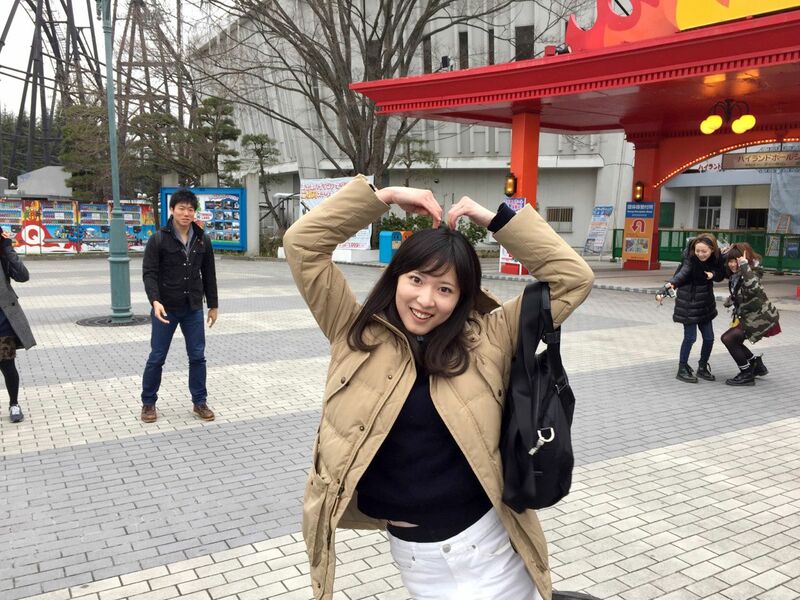 I noticed Yuko-chan’s startled expression out of the corner of my eye, but I pretended not to see (haha). The special feature of “eejanaika” is that you ride without your feet touching the ground. The precariousness of being suspended in the air increases the tense atmosphere as eejanaika speeds down the track while rotating dizzyingly backwards and forwards and diagonally. 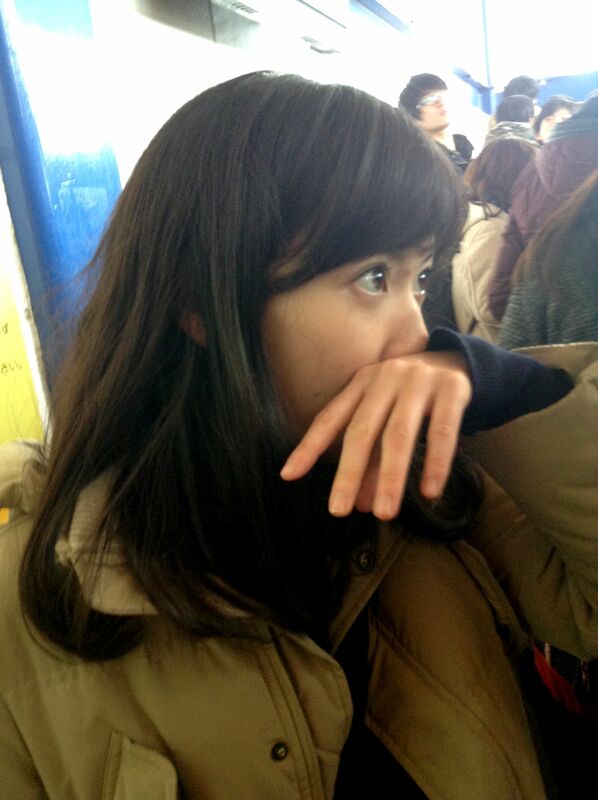 Here’s Yuko-chan, looking ready to cry before we even got on the ride. I said “It’s okay, it’s okay, it’s okay…” about 100 times as I guided her along. From this point on she only replied with “Oooh…”, but she’s lovely even when she’s whimpering (haha). 14 loops in total! Almost to the point of unconsciousness! It’s a new fear sensation where you don’t have a clue what’s even happening to you! For example, a forward somersault while 50m up in the sky. 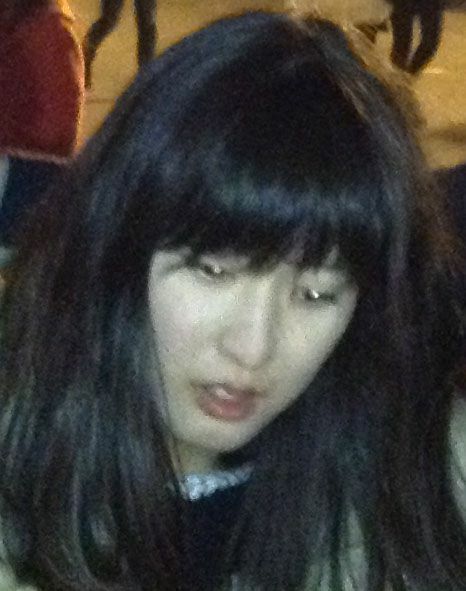 Here’s Yuko-chan, in a daze……! Now that I think about it, while we were on the ride the screams that I heard weren’t cute screams like “Kyaaa!”, but screams like “Woooah!” and “Aaaargh!” instead. “Let’s go home now. 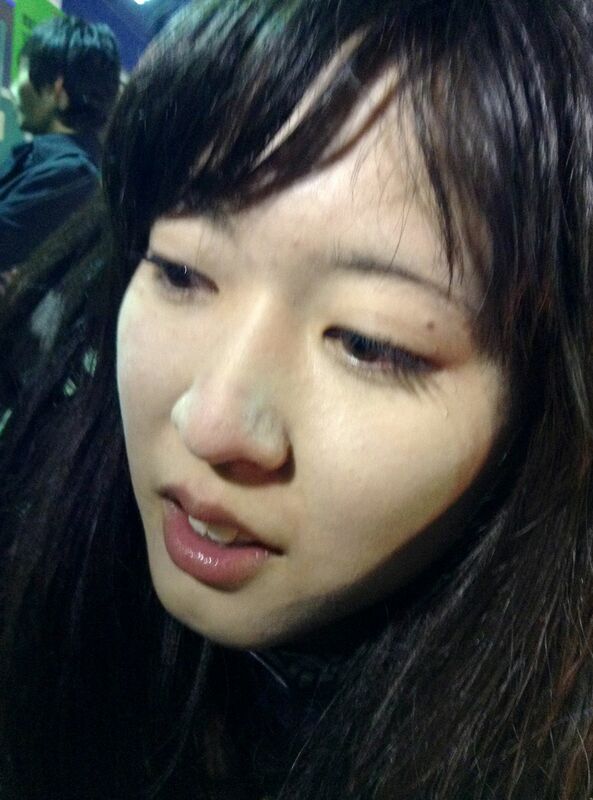 It’s getting late, and we already had plenty of fun, and my nose is running…” said Yuko-chan, exhaustedly. But when I looked at my watch, it was only 5:00pm! I grabbed her as she tried to escape, and off we ran to the next attraction! 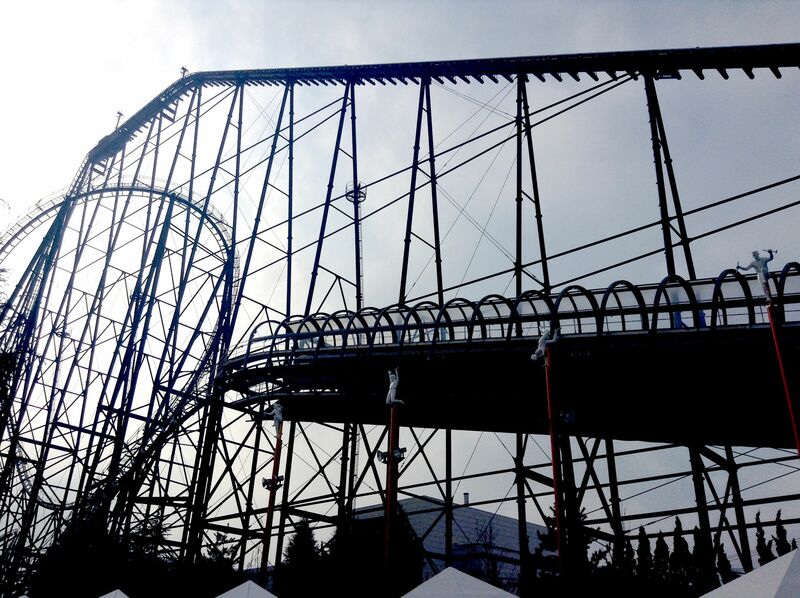 If FUJIYAMA is all about height, then TAKABISHA is all about the angles! 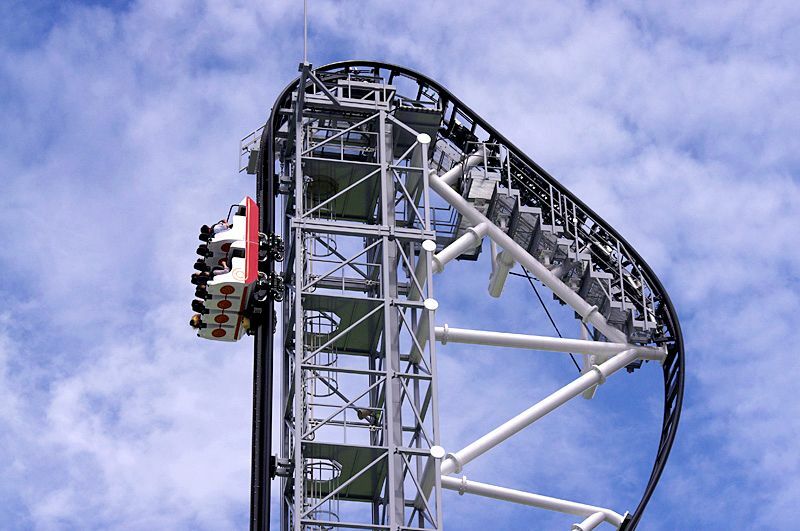 This attraction will seriously scare you, the terror of its vertical drop even exceeding that of its speed and loops. Here’s Yuko-chan, looking seriously frightened already. 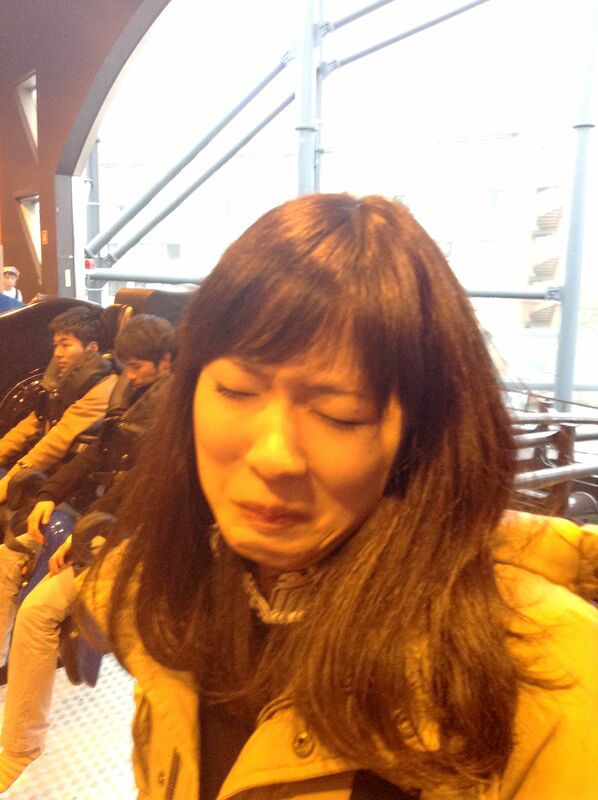 Yuko-chan cried “I’m going home! I’m leaving!”, but I said “We’re not gonna die or anything, so it’s fine!” and persuaded her to get on the ride. You definitely have to check out this video from 1 minute 17 seconds in! TAKABISHA is orchestrated perfectly, as riders don’t only experience the terror of the vertical drop, but also sudden stops while falling! From the Shuto Expressway Route 4 take the Chuo Expressway to Kawaguchiko I.C. FujiQ Highland is located immediately after exiting Kawaguchiko I.C. Take the Shuto Expressway Route 3 to Gotenba I.C. via the Tomei Expressway, and then follow the Expressway No. 138 (approximately 15 minutes). From Subashiri I.C. change to the Higashifujigoko Road until you get to Fujiyoshida I.C. (approximately 15 minutes). 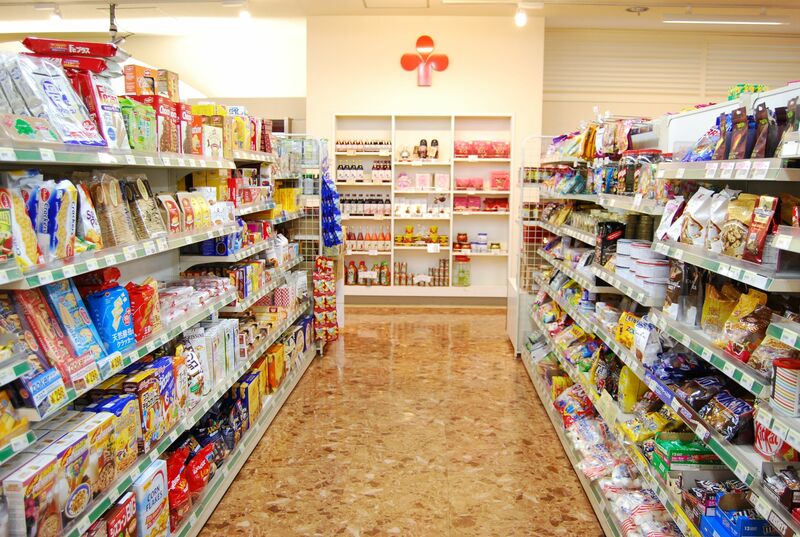 FujiQ Highland is located immediately after exiting Fujiyoshida I.C. I recommend travelling to FujiQ Highland from Shinjuku by bus! Please check the homepage for details! On the drive home, Yuko-chan hardly said a word.